We are a family owned and run business. Established in 2003, we offer a friendly, reliable, discreet and affordable service for all your Pest Control needs. Because we are a local business we can offer sameday visits for most appointments. Our Techichian who carries Photo ID, is Qualified and is fully insured with Public Liability Insurance.We are also backed by NPTA membership. We provide Commercial Contracts offering Prevention or Control of your pest problems. We welcome all enquiries particually Schools, Letting Agents, Restaurants, Farms & the Health Sector. People choose 1066 Pest Control because we are flexible, reliable, friendly and cost-effective. Our office hours are 9am to 7pm (Mon - Sat), 10am - 4pm (Sunday). CALL NOW for an appointment. 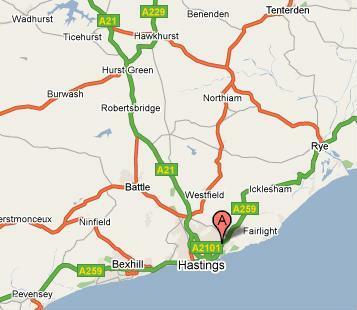 We service the 1066 areas of East Sussex including: Hastings, Bexhill, Rye & Robertsbridge.